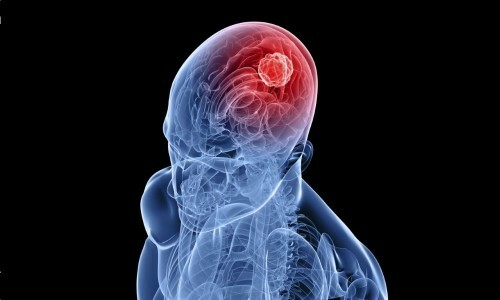 Stroke occupies one of the leading positions among diseases representing a mortal danger to humans. The problem is that in early stages it is quite difficult to recognize this disease. A little numbness in the arm, dizziness, being tongue-tied – few people will attach importance to these symptoms. Neither the patient nor his family can even know that at this time a brain disaster is happening. Meanwhile, the person’s life often depends on competent and immediate action of those who are close by. It is therefore useful to know the causes of stroke, its symptoms and the way to act in a critical situation. At the situation with stroke literally every minute counts. Depending on how quickly and accurately people surrounding the patient find the way around the situation, depends not only on the possibility of further recovery but first of all the person’s life. Because of a stroke, millions of people die each year. And this disease spares nobody – neither men nor women, neither old nor young people. In addition, more strokes are registered in the elderly. And if under the age of 60 years, men are susceptible to this disease more than women, after 60 years, the situation changes – women suffer from strokes more often. As for the adverse outcome, the death rate from stroke is higher among men. Each of us is exposed to stroke risk, and at any moment someone next to you might need an emergency. And if you know how stroke manifests itself, what to do if it happens, thus you can save the life of this person. The sooner the medical assistance will be provided in stroke, the lower is the probability of death and the risk that the person will be for a lifetime confined to a wheelchair. A stroke is a syndrome of acute cerebrovascular accident, which leads to the development of certain neurological disorders. In accordance with the genesis strokes can be divided into ischemic and hemorrhagic. The first one is caused by the blockage of cerebral vessel by thrombus or embolus, the second one is characterized by a rupture of the vessel. In both cases circulatory failure occurs and, consequently, the loss of a certain area of the brain tissue. Cells located in the midst of disaster, are often beyond repair. However, around this “dead” area there is a zone of reversible changes – for this area actually the struggle in the treatment of the patient is unfolding. And here every minute counts: the time during which the cells can resuscitate in the zone of reversible changes is only three hours after the stroke. It is essential to keep within this so-called “therapeutic window” to minimize the affected area. Ask the person to smile. During the stroke muscle paralysis or paresis occurs usually on one side of the body, resulting in the curved smile – on the affected side the mouth will be downward-sloping. Try to speak to the stroke victim, asking him to say any simple phrase, such as “It is raining outside.” During a stroke the speech is usually disturbed, it becomes incoherent or hindered. Ask the stroke victim to raise both arms up simultaneously. During the stroke one arm will fall or go sideways. If doubts remain, ask the person to put out tongue. During a stroke it usually sinks down to one side. If the afflicted person has at least one symptom of a stroke – immediately call an ambulance! At the same time as accurately as possible, list all of the symptoms. Even if the signs of a stroke were short-term, and the afflicted person recovered quickly, it is important to convince him to seek medical help. One should know that frivolous at first glance symptoms of a stroke almost in 100% of cases are indicative of serious brain dysfunctions. And this, in turn, can cause serious consequences that can chain the afflicted person to a bed or wheelchair, and even lead to death. This entry was posted in Health, Medication assistance and tagged disabilities, diseases, elderly care, health problems, physical health, stroke on August 13, 2016 by admin. Hypertension. Causes, symptoms and treatment. Hypertension is permanent or occasional elevation of blood pressure. It’s an insidious disease. High blood pressure often doesn’t have any symptoms, but it slowly affects the heart, brain, kidneys. The disease informs about its presence by headache, dizziness, tinnitus, short term heartache and rapid heartbeat. Also the following symptoms became possible: faintness, shortness of breath, rapid fatigability, unprovoked nose bleeding. Normal blood pressure is considered to be 120/80 mmHg. Identification of hypertension is possible only by regular blood pressure measurement, because there can be just single jumps in pressure, for example, during physical activities, emotional experiences or after alcohol ingestion. It is important to know not only the blood pressure readings, but also how quick the blood pressure comes back to normal. After age 40 the vasoconstriction happens, the vessel wall elasticity decreases, which contributes to hypertension. At a young age the increase in arterial blood pressure is possible on the background of diseases of endocrine glands, lungs and kidneys, as well as during the pregnancy period. The risk of hypertension increases if your immediate family members or you suffer from diabetes. Permanent neuropsychic overstrain, stresses and lack of sleep facilitate the hypertension development. Excessively salty and fatty food, smoking and alcohol abuse also raise the blood pressure. Overweight people and people with sedentary lifestyle often suffer from hypertension. You should pay a close heed to the changes in the state of your organism, and it is recommended to measure the blood pressure at the first signs of the disease. If you noted a repeated rise of pressure, doctor’s appointment is plainly required for you, as the selection of preparations is strictly individual, and is performed on the basis of a complete diagnostics of your body. There are some risk factors, which may cause the complications in the work of cardio-vascular system. 1. Age. Men older than 55, and women older than 65 years. 2. The cholesterol content – total cholesterol above 6,5 mmol per liter. 3. Cardiovascular diseases in the patient’s relatives. The risk factors are divided into two groups. The first group comprises the risk factors, which can be eliminated with doctor’s help or by your own efforts. These include diabetes, increased cholesterol, smoking, etc. The second group comprises age, genetic predisposition. Long-lasting hypertension aggravates the cardiac performance, heartbeat increases, pulse quickens, the heart enlarges. Besides hypertension, the increase of blood pressure may be caused by kidneys disease, malfunction of thyroid gland, structural heart defects, constriction of aorta (coarctation), etc. Headache occurs more often in the occipital region, but also in temporal and parietal regions. 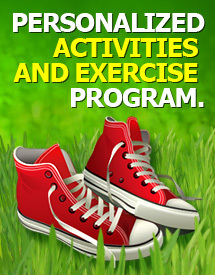 The pain increases with mental and physical activity. Particularly severe pain accompanies the hypertensive crises. Constricting pain, long-lasting dull pain or sometimes short-term lancinating pain in the region of heart are possible in the people with hypertension. Hypertensive crisis is a sudden short-term manifestation of hypertensive disease. The reason of hypertensive crisis is the interruption of arterial pressure regulation mechanisms, accompanied by an increase in arterial blood pressure and disorder of blood circulation in internal organs. It originates from the alteration of psychoemotional state, using a significant amount of salt in food, abrupt change of weather conditions. 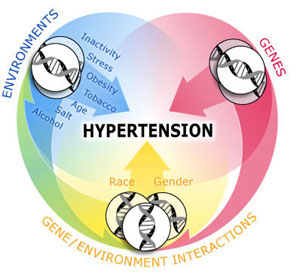 Hypertensive crises are often a result of the absence of hypertension due treatment. The danger of hypertensive crisis lies in the fact that it can exacerbate the existing heart and brain diseases. Hypertensive crises are much more common in women. The treatment of hypertension is mainly focused on normalization of blood pressure. The disease treatment is a complex one. One group of preparations is oriented to reduce the blood pressure. Vasodilating and diuretic preparations are also used. Sedative (obtundent) medical preparations are due in no small part to treatment. The selection of medication is strictly individual and will depend on the patient’s condition. The special diets focused on decrease of salt and liquid consumption are selected for people with hypertension. Alcohol is forbidden for people with hypertension disease as well. Leeches are also used for hypertension treatment – hirudotherapy. This entry was posted in Medication assistance and tagged diseases, elderly care, senior care, vitamins on August 17, 2015 by admin. A healthy smile for years to come!